Picture yourself being bullied by someone every day. You ignore it the first time, but the teasing continues for weeks and weeks. You keep telling the bully to stop, but he doesn’t listen. Would you tell a teacher or would you retaliate? Back in 2011, 15-year-old Casey Heynes (Sydney, Australia) took matters into his own hands. 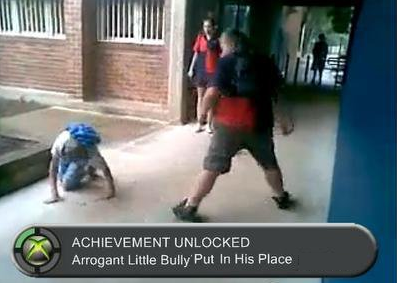 Another student recorded one of his bullies punching him in the face and taunting him. After 3 years of suffering real-life bullying, Heynes picked him up and threw him on the ground. This video went viral immediately and gained worldwide attention: from kids, to parents, to the media! Many people in the online world called him a hero; several called him an ‘inspiration’ to anyone who has been bullied. Several people even created memes in appreciation of what Heynes did. • What happened in the video? • What do you think about the guy who filmed the incident? • What would you do if you saw something like this happen in your school? • Why do you think people become bullies? These questions can definitely help raise discussions. You can watch the video with your friends and let your friends – and maybe even your parents or teachers – know your thoughts. That said, some questions were raised that are even more important to think about now compared to when the incident happened. Someone in the video said that cyberbullying (i.e. online bullying) is, “The modernized version of bullying.” It’s an interesting way to define it, and it’s a good point. The more time we spend online, the more likely we are to see incidents of cyberbullying. Sometimes, you might even be directly affected by it. 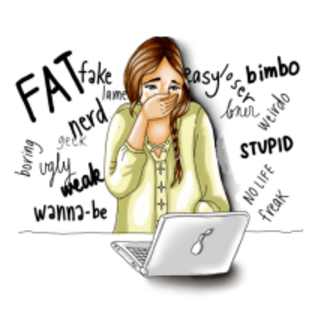 Is Cyberbullying Worse Than Regular Bullying? The vast majority of the kids watching the video said that cyberbullying is worse than regular bullying? Wouldn’t you agree? After all, what happens online stays online, and videos, pictures, and all kinds of rumors can be spread in so many different ways. Plus, you might not even know it’s happening to you! People could talk about you behind your back and you may not have any idea that they’re doing something that could affect you online. 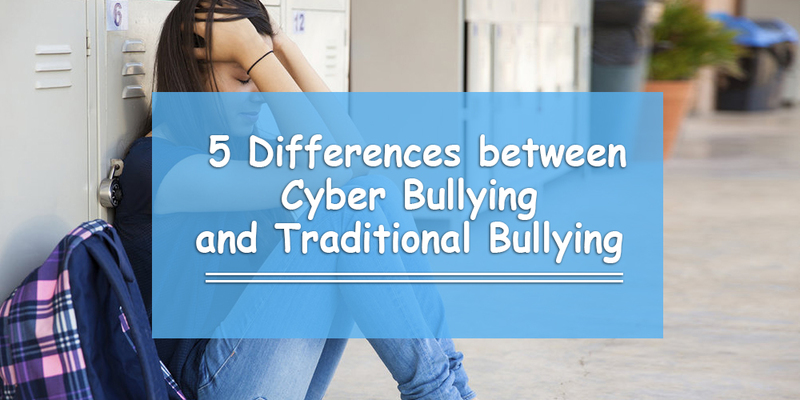 In a previous blog post, we talked about 5 differences between traditional bullying and cyberbullying. Make sure you read that to know about some of the other impacts cyberbullying could have on you. What Does Your School Do to Educate You on Bullying? After watching this video, it’s safe to say that there aren’t many schools that really know how to educate you on bullying yet… or at least make you feel like you’ve learned something, right? They make students pretend they know the answers when they really don’t. What Should Schools Do to Stop (Cyber)Bullying? 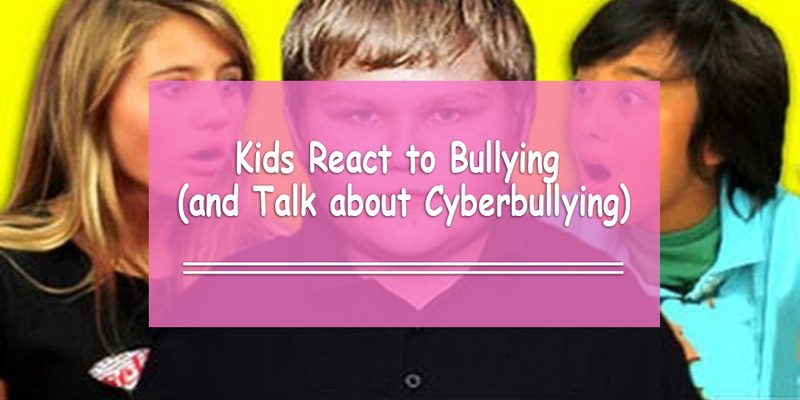 Students agree that schools don’t really have the best solutions to prevent cyberbullying. To be honest, no one is even close to coming up with an answer yet. Technology is always changing, for better and for worse. However, the important thing is to show that they truly care about the prevention of cyberbullying and not doing it because they have to. What Do You Want to Say to All the (Cyber)Bullies in the World? Leave a comment below telling us what message you’d like to send to all the cyber bullies.